Did you delete some files from your Macintosh? Mac handles all the data including your personal and official documents which are always very much important. Normally, if you had done such a mistake by deleting a file accidentally, you have many options to recover deleted files from MAC. Fortunately, there are few possible ways to recover deleted files on MAC OS X. You can perform some of MAC data recovery procedures without any software to recover files from basic deletion stages. But, in case of permanent deletion from the drive, you will need the tool to do this. A Free and easy-to-use recovery tool is available to perform this disk data recovery on MAC. However, the best quick and easy ways to retrieve deleted files from your MAC can be done without using any tool. But, this needs a backup of all your data or recovery from the cloned drive. The main thing is, how could I protect the damages while recovering data? This is the main challenge. That is why choosing the right options for recovery is an important part. Let's discuss some precautions and important points to save the files from any damage and quick recovery of all data. What are the Data Recovery Conditions for MAC OS X? It is not really hard to get back permanently deleted files from your MAC. Few conditions make it possible to get the file back to its previous position. If you have removed your file from the trash bin by emptying trash or by dragging a file to the Trash Bin. In these both conditions, recovery is possible either by using a tool or else you can recover without any software. Some circumstances force people to delete some particular files due to the virus attack. However, formatting a hard drive would totally remove all the files from your drive as well. Along with these, accidental deletion is also a reason to be included. If you had permanently deleted a file recently by dragging it to the trash bin or emptied trash then there are few ways to get the files back without any software. 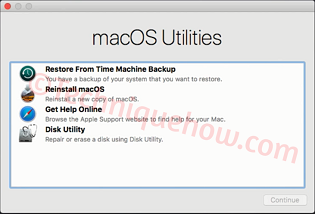 How to Restore Deleted Files from MAC using Time Machine? If you have Time Machine installed on your MAC OS X then your chances of recovery of any files are really high. Just open Time Machine by clicking on its icon from the dock. You will get a window with the list of files which are backed up last time. Just preview if you need so. Then click on 'Restore' option to get the files back to your MAC drive. On the primary condition of deleting a file, the deleted data is preserved in Trash Bin of MAC. The best part, you can undelete the files easily from there without using any utilities or terminal. Just open the Trash from the dock and drag out the deleted files. This simple and one-click option is the first thing to try for recovering any files within few seconds. Now the second most important thing here which is the backup of your data. MAC users are offered to install 'Time Machine' or to keep the backup of files on Dropbox. If you have that backup, you are all set. Just open the backup and restore your files from there. This is the safest formula to recover your data as this helps to securely recover all your data. You should know that MAC OS X provides the options to clone a drive which makes a replica copy of the original drive keeping all the files inside the storage. This is common but few people take the advantages of it for recovery. If you had made such replica drive before, you can recover all your files from that drive also. Amazing feature... Right? If you have purchased other internet-based cloud backup host like iDrive for your MAC OS then you can back up files on these servers. Such backup system will store many versions of your files which can be used to recover a permanently deleted file from MAC. Overall, we can say, you will surely get back your deleted files back if you follow the methods which are described here. However, you can use any recovery tools for MAC like EaseUS, Stellar Phoenix for deleted files recovery from MAC.